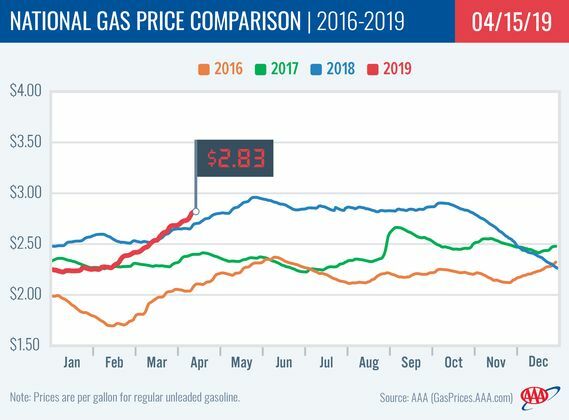 The average price of gasoline across Northern West Virginia is six cents more expensive this week at $2.776 per gallon, according to AAA East Central’s Gas Price Report. As the region sees gasoline stocks tighten on the week, a handful of Mid-Atlantic and Northeast states saw significant increases at the pump, including West Virginia (+7 cents). Year-over-year, most states in the region have more expensive gas price averages.